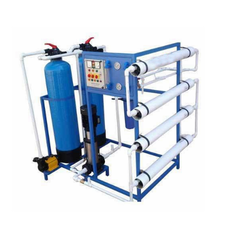 Prominent & Leading Manufacturer from Ahmedabad, we offer water filtration system for pharma, water filtration plant, frp water filtration, filtration system and filtration systems. Owing to our expertise in this domain, we have been able to cater to the variegated requirements of the customers by bringing forth Water Filtration System For Pharma. 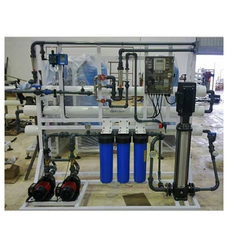 In order to eradicate impurities from the water to make it fit for use, these water filtration systems are manufactured by us in adherence with the pre-defined guidelines of the industry. Further, these systems are thoroughly tested on various stages to ensure flawlessness. With the aid of modern tools and sophisticated technologies, we have been able to provide the customers with Water Filtration Plant. These plants helps in removing the impurities from the water as these plants are manufactured using quality-approved raw material that is obtained from the accredited vendors of the industry. In addition to this, we also provide customization facility to our customers to attain maximum satisfaction. Backed by a team of dexterous professionals, we have been able to provide the customers with a remarkable FRP Water Filtration. The FRP offered by us are manufactured at our state-of-the-art infrastructure unit with the help of sophisticated machinery and technology under the able guidance of our professionals, who keep strict vigil on the production of the same. Furthermore, our offered FRP is closely inspected before dispatching to the customers' premises. We are a coveted business organization engaged in catering to the variegated requirements of the customers by bringing forth Filtration System. These machines are perfect blend of innovation and technology, which can be customized as per the requirements of our clients. Effective to remove sediments, BOD and bacteria from storm water, these systems are widely appreciated in the market. 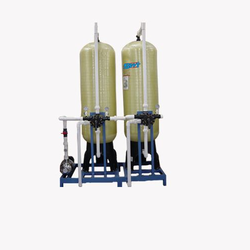 Iron/Manganese Removal Filter : This filter is used to remove iron and manganese from the raw water with different feed water pH at standard filtration rate of 10-12mÂ³/hr/mÂ². 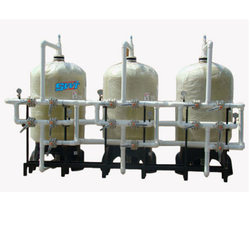 Activated Carbon Filter: This filter is specially designed for the absorption of soluble organic impurities found in water. 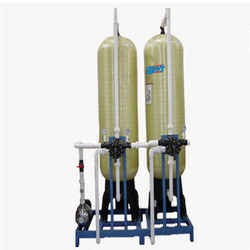 Looking for Water Filtration System ?